Imagine a hilarious meme or video you came across on social media recently. Would you remember it if it was just text? If you answered “no” (we can understand why), then it’s time to re-evaluate your content marketing strategy. While integrating an image or video into a low-quality content piece probably won’t make a difference, those who pair high-quality visuals and content put themselves in the driver’s seat when it comes to conversions and engagement. Need a cold hard fact? According to BrainRules, visuals remain in a person’s memory longer than text. Also, the brain processes videos and images quicker than it processes spoken information or text. If a person hears or reads a piece of information, they will remember only 10 percent of it after three days. If they consume that information as an image or as a piece of content paired with a visual, they can remember 65 percent of it. This indicates that compelling and unique visuals can make all the difference on a crowded digital screen when it comes to attracting people’s attention. Website owners everywhere could use some visuals, so we’re leading off our argument with a collection of actionable tips that can help liven up your content marketing efforts. Do not make the mistake of using those dull stock images over and over again. Let’s be realistic: that photo of a well-dressed individual looking at his smartphone doesn’t scream must-watch content. While a perfect alternative might not exist, custom photography is the most creative solution. It is also a great way to integrate relevant visuals since you can define the subject matter (instead of trying to find something that fits your blog’s theme). Incredibly, you don’t need any formal education to get started. All you need to do is explore answers to things like What is Focal Length? How does it help determine the ideal lens for a camera? And so on. Other than that, you need to invest in a high-quality camera and figure out how to install or arrange the perfect lighting. Additionally, it might also help to learn the “rule of thirds” concept. The notion is that by putting the points of focus at an intersection, the image becomes more balanced and enticing. If you don’t have the time to do this you can also hire photographers who will sell photos to you. 360-degree videos and images used to be something scarce in the past. Today, people are seeing more and more of them in their news-feed. This content format works particularly well on smart devices. They are more enticing and also allow users to interact with the subject matter in a new intriguing way. Hence, it’s a viable idea for content marketers to integrate this kind of strategy in both video and image formats. 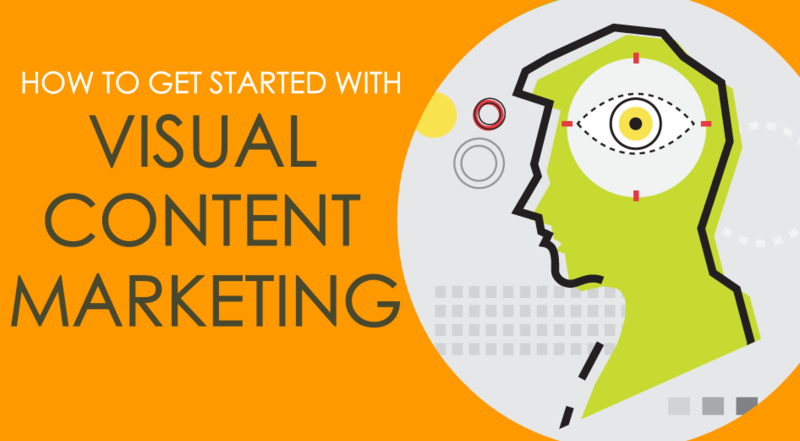 However, 360-degree visuals won’t increase engagement automatically. You’ll still need to supervise what goes into production, as well as maintain quality control over all the elements. Leverage this by ensuring all your elements across the 360-degree campaign tie into a single brand story that conveys passion, interests, and values that drive your business. The best-performing companies have the same visual identity across all digital channels. When you create guidelines for your brand, incorporate a visual section that outlines your imagery style, key video characteristics, as well as guidelines on visuals use on social networks as well as your business website. Make sure the designers, content creators, videographers, and photographers are all on the same page about the visual standards, so your target audience gets a familiar, coherent experience across all touchpoints. To take complete advantage of this, make sure your visual identity is consistent across both mobile and desktop screens. Apply these tips, and you’ll likely see an uptick in your content marketing campaign’s performance.